Ten years after VJ Day, Donald Bennett started his memoirs of World War II. Bennett was a pioneer in long-distance aviaiton before WWII, and held many distance records. He was also the commander of the Pathfinder Force, a team dedicated to marking targets for Bomber Command, increasing the latter’s accuracy, particularly in night bombing raids. Bennett’s memoir looks at his life in Australia and how he ended up in the Royal Air Force, his early flights and work as a navigator, and his time in the war. He is honest in his memoir, and often comments on the burocracy and the problems associated with the RAF and the chain of command. Bennett’s style is passionate and exciting, whether he is describing scientific advancements, bomb runs or the politics of war. Readers may or may not agree with his political or social ideas, but his entire memoir is thrilling and, especially during the war, Bennett lead an exciting life. For anyone interested in aviation history it is an important read and depects a number of important aviation events in the Second World War including Bomber Command missions, their involvement in D-Day and bringing POWs home after the war. As this blog is focused on Newfoundland aviation history, this post is going to focus on the section of this memoir associated with the establishment of Ferry Command. When Bennett was tasked with flying Hudsons from Gander to England, he immediately noted how it was assumed he would sit by until it was time to attempt the flight. What is clear in his memoir is that he never sat idly by and thus was involved in every part of preparing the aircraft for the transatlantic flight, from initial test flights at the Lockheed facility in California to the actual trans-Atlantic flight. This section really shows Bennett’s abilities as a pilot throughout the memoir he will often be the first to fly a test aircraft, or demonstrate the capabilities of an aircraft to make sure it meets his exacting standards. Once the aircraft were altered to his specifications (mostly more fuel), Bennett hitched a ride back to Montreal on one of the Hudsons. For diplomatic reasons, he could not fly the aircraft, but rode as a passenger. He complains that they stuck to the airways, which he felt added both risk and distance to the flight. At one point they flew through a heavy thunderstorm and remained in relatively thick airline traffic the entire route. While Bennett found the American manufacturers to be highly efficient and British manufacturers could learn from them, he comments that he feels this was, and at the time of his writing, still is a major problem with American aviation. They landed at Pembina on the Canadian border just south of Winnipeg where the engines were shut off and a horse was hitched to the front of the aircraft to pull it across the border. Once across the border they flew to Winnipeg for the night. After a few more night stops, they made it to Montreal to meet the new pilots. Most of the pilots interviewed were Americans who had been thrown out of American airlines! The push for American pilots came to be because, on Lord Beaverbrook’s instruction, Washington was offering extremely high rates of pay for pilots who would fly the Atlantic. This actually caused many problems because the English who were flying the same route were working for significantly less money than the Americans who were “rejected” from American airlines. [Note: as the war progressed, some pilots signed up for Ferry Command to avoid being drafted and to decide how they would serve the war effort, such as American businessman and philanthropist Kirk Kirkorian (Torgerson 1974)]. Only Americans were offered the higher pay, and British subjects from Canada, Newfoundland and Australia who wanted to fly had to be content with lower wages. Bennett states that he felt the higher wages were unnecessary and enough pilots could have been found without what he calls that “pathetic piece of bribery”. 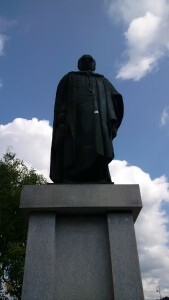 A statue of Lord Beaverbrook in Fredericton, New Brunswick. Photo by author. With two Hudsons now in Montreal and pilots selected, training began. Bennett notes that Hudsons had some tricky characteristics, such as “an ability to drop a wing if bounced” and a habit of stalling if they were going to slow, so extensive training was necessary. While the new pilots were training, Bennett was already thinking about means to return the crews, and was consulting with Consolidated about getting B-24s for the return flights. The first few returns were by ship, but eventually it was arranged to transport pilots back with B-24s, as well hundreds, if not thousands, of B-24s were flown across the Atlantic. 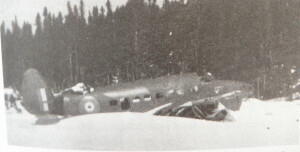 A few weeks later, crews and aircraft were ready and flew in formation to Gander. There were not enough navigators for the aircraft, so they had to rely on the lead aircraft. Bennett states that this was certainly not ideal, but unavoidable. The station-keeping lights on the rear of the aircraft were quite bright to help. An additional eight British Overseas Airways Corporation pilots and nine radio operators joined the team. They were all experienced pilots, but had not flown the Atlantic themselves. 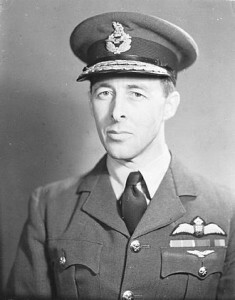 Bennett considered them to be higher calibre pilots, and ensured at least one on each of the aircraft following the lead. On 9 November 1940, Bennett arrived in Gander and signalled for all aircraft to prepare for immediate departure. Unfortunately, the aircraft were too iced up (about a half inch of “steel-like” ice on the top surfaces of the wings, the fuselage and the tail) so he decided to postpone the departure for twenty-four hours. With the guidance of McTaggert-Cowan, the Meterological officer, Bennett planned the flight and briefed the crews. McTaggert-Cowan’s forecast was not perfect, according to Bennett, but extrememly valuable. Bennett had detailed instructions for the crews in case of weather, seperation, etc. and gave out cards with full cruising instructions. After the briefing, Mrs. Patterson, the wife of the airport manager and the only woman at the airport at the time, gave everyone poppies to wear the following day. 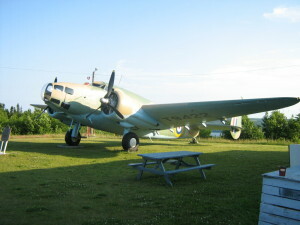 Hudson Bomber on display at the North Atlantic Aviation Museum in Gander. Photo by author. A few hours after sunset, the aircraft took off in quick succession in reasonably good weather and gathered in formation with Bennett in the lead. This was the first attempt to cross the Atlantic in the middle of November and was considered to be after the “winter barrier”. Bennett spent most of the flight focused on navigation, and was so focused that he did not notice until midway through the flight that his second pilot, Clauswitz, was wearing cowboy boots for luck! The aircraft met a weather front that they were expecting a little sooner than anticipated. Bennett could not climb over it, so signalled for the aircraft to separate as they went through it. Once through the front, visibility was good and Bennett and four other aircraft landed at Aldergrove. Two aircraft had gone off course, but made it to the Scottish islands. Bennett does not go into this, but Lord Beaverbrook had stated that if 3 of the 7 aircraft succeeded in crossing the Atlantic it would be sufficient to begin regular ferrying (Ministry of Information 2005). Getting all seven Hudsons across is a testament to Bennett’s leadership and planning. The crews, much to their disappointment, were almost immediately sent back to Canada while Bennett continued to London to report to Lord Beaverbrook. Bennett then discusses some of the planning, new crew members and the difficulties in trying to convince Lord Beaverbrook that more navigators were needed for future flights, plus some of the misunderstanding that came from a lack of understanding just how cold Canadian and Newfoundland winters can be. Eventually, Bennett did manage to prove that flying in formation in the winter was not practical and had caused some crashes and technical troubles, but no fatalities. This proved to the RAF that more navigators were needed for the crossings. The terms of the agreement were that pilots would remain with Ferry Command, but navigators would be trained and would remain for only one trip each. This system seemed to work well. While Bennett was on business in Montreal, the first major crash occurred. A Hudson was missing for 48 hours, and upon hearing this, Bennett’s first act was to get in touch with the pilot’s wife to ask her if she thought her husband was alive. She said she was certain of it. Bennett took off for Gander, and was pleased to know a search had commenced, but many crew were furious that the search had been delayed in the first place. 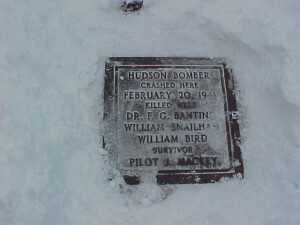 The aircraft was located, and the pilot, Mackey, had written a message in the snow “Three dead”. Supplies were dropped for the sole survivor, and as a rescue was being planned, locals with a dog sledge were spotted and were directed to the crash site. Mackey was brought to Musgrave Harbour while arrangements were made to investigate the crash. Bennett found the remains of his crew and Dr. Fredrick Banting, the discoverer of insulin and a VIP who was being transported overseas who died from his injuries after the crash. Plaque at the crash site. Source. The Banting crash site near Musgrave Harbour. ONeill 2008. In 1941 Bennett’s association with Ferry Command came to an end. As the United States had entered the war, the task of ferrying aircraft was being passed to them. At the same time, the RAF were getting more involved, and some of those getting involved were not individuals that Bennett got along with. Operations were passed on to Harold Long and Bennett eventually went on the lead the Path Finder Force. He does note that within six weeks of leaving Ferry Command three B-24s were lost; one failed to clear a mountain, another had a load that was too heavy and did not get off the runway and the third was due to improper Flight Control orders near Gander. In this time six Hudsons were also lost, which the authorities tried to blame on McTaggert-Cowan. Bennett, in an attempt to help, wrote a letter supporting McTaggert-Cowan’s abilities in forecasting to alleviate this blame. Thus ends Bennett’s work in Gander. The memoir then goes into great detail about his work with the Path Finder Force, which is certainly worth reading. In this case, I am looking to summarize his involvement in Gander to keep the focus on Newfoundland aviation history. 1958 Pathfinder. Guernsey Press, Guernsey. 2005 Atlantic Bridge: The Official Account of R.A.F. Ferry Command’s Ocean Ferry, University Press of the Pacific, United States. 1974 Kerkorian: An American Success Story. The Dial Press, New York. Where is the Hudson Bomber that crashed near Musgrave Harbour now?